Regional policy makers are reeling at the implications of a remarkable opinion poll that shows overwhelming public support in Fiji for Frank Bainimarama – widely regarded as a Pacific pariah for his 2006 coup and continuing refusal to bow to demands for an early election. The poll – commissioned by the independent Australian think tank, the Lowy Institute – reveals that Bainimarama enjoys the support of 66 per cent of Fijians, with 39 per cent of those questioned strongly supporting the premise that he’s doing a good job as prime minister. Here’s a link to the full report, which is also a snapshot of Fijian opinion on a host of other issues, including widespread irritation at Australia and New Zealand’s continuing intransigence on Fiji. The fact that two thirds of the country has thrown its weight behind a man who seized power through the barrel of the gun is little short of astonishing. These are figures that most other regional leaders would kill for. 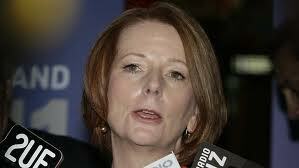 By way of contrast, popular support for the Australian prime minister, Julia Gillard, plunged to a new low of 23 per cent in the latest Newspoll released this week. And even New Zealand’s John Key – who has the “popular” appellation regularly attached to his name these days – can only muster a 52 per cent approval rating. There’s no indication of a fix. The Fiji Government had “no knowledge whatsoever” that the opinion poll was being conducted, according to government spokesperson Sharon Smith-Johns. And the sample of 1032 people was selected by long-time Fiji pollster, Tebbutt Research, whose surveys for the Fiji Times newspaper were accepted as accurate by all political parties in the years preceding Bainimarama’s coup. To counter the inevitable questions about whether it’s a fair representation of national opinion, the survey was also supervised by the respected Australian pollster, Sol Lebovic, the retired former chairman of Newspoll. So as they flay around in rage and bewilderment, the regime’s legion of critics are left with very little cause to cry foul. The Lowy Institute is also no lapdog of Bainimarama’s, in spite of the anti-regime website -Coup 4.5 – branding it “pro-regime” in its own reaction to the story. The head of the Institute’s Melanesian Program, Jenny Hayward-Jones, has been a fierce critic of Bainimarama in the past but recently urged Australia and NZ to re-engage with Fiji to help the dictator keep his promise to hold elections in 2014. In her own explanation of the Lowy poll, Hayward-Jones was anxious to stress that while some of its findings will please Bainimarama and the regime, the overwhelming endorsement of Fijians for the principle of democracy – if not its practical application – means there is something in the report for everyone. Yet this is still a massive boost for the regime and a massive blow to those who keep portraying Frank Bainimarama as a hate figure for ordinary Fijians. The poll appears to validate Fiji’s claim that much of the opposition to the regime is external and that the so called pro-democracy movement abroad receives disproportionate media attention while the bulk of the population gets on with their lives. It’s certainly a ringing endorsement of Frank Bainimarama’s program to provide basic services to rural areas of the country such as education, health, transport infrastructure and clean water that were long neglected by previous administrations. The fact that a large proportion of Indo-Fijians endorse his leadership also points to the regime’s success in thwarting indigenous extremists, imposing the notion of racial equality and tackling the security concerns of ordinary people. Doubtless to the consternation of his foreign critics, there appears to be little sympathy in the general populace for those bastions against the regime like the local human rights lobby, the trade unions and the Methodist Church. There’s an intriguing sidelight in Lowy’s disclosure that the poll was made possible by a private donation from one Mark Johnson AO. Johnson happens to be a member of one of Fiji’s most distinguished kai valagi ( European) families who has risen to dizzying corporate heights in Australia. He was born in Suva – the son of legendary local trader, Tui Johnson – and attended Suva Boys Grammar School before going on to Melbourne University, Harvard and a stellar business career. Johnson has been deputy chair of Macquarie Bank, sits on a string of prestigious Australian boards and has also chaired both the Australian Strategic Policy Institute and APEC’s Business Advisory Council – one of three Australian business figures handpicked by the prime minister to advise on Asia Pacific engagement. 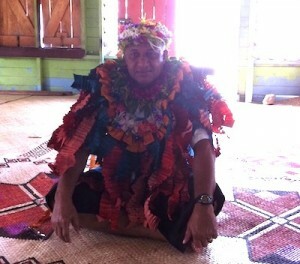 He retains close links to Fiji and has been exploring for minerals in Vanua Levu, the country’s second biggest island. With his financial support for the Lowy poll, he’s done his country of birth a singular service. Will it make any difference in softening regional attitudes to Fiji? Probably not. Australia and NZ have far too much face to lose by backing down on their consistently hard line towards Bainimarama, though there’s some sign that John Key may be willing to modify his own tough stance. Many of Fiji’s supporters will be hoping that the Lowy poll shames Canberra and Wellington into at least grudging acceptance of the regime’s election timetable of September 2014. But shame is generally in very short order, especially in Canberrra, where Julia Gillard soldiers on even as many of her supporters describe her as a dead woman walking. What on earth will Gillard be making of the fact that the so called regional pariah, Bainimarama, is three times more popular with his own people than she is with hers? “Hated dictator”? Hardly. Postscript: The Lowy Institute is unquestionably independent when it comes to events in Fiji and appears to have done everything possible to ensure that its poll was conducted to accepted international standards. That hasn’t stopped the regime’s critics from launching a fierce assault on the outcome, accusing the Institute of bias and questioning the methodology of the poll and its sample. One critic – Fiji academic Dr Wadan Narsey – has even cast doubt on the intelligence of those questioned, saying ordinary people in Fiji were incapable of understanding some of the issues put to them. This extraordinary display of intellectual snobbery – plus Narsey’s other allegations – are the subject of a comprehensive and compelling response from Crosbie Walsh, the New Zealand academic and commentator on Fijian affairs. Jenny Hayward-Jones has also felt obliged – in this posting several days after she announced the findings – to defend herself and the Institute against the barrage of criticism from regime opponents. Describing herself as an opponent of the regime, Hayward-Jones says she too was dismayed by the outcome but defends the methodology of the poll and says she is in no doubt that it represents the true opinions of the Fijian people. Please explain. Time for you to stop endorsing the blog site Fijitoday and join us move Fiji towards Democracy. We need you. the more fiji deals with china the better it will become financially and the less aus/nz will have to do with fiji. i believe if fiji allies with china it will secure long time security without having to worry about what australia or new zealand think. Australian politicians ignore any polls that don’t tell them what they want to hear. Julia would kill for these numbers – and there can be no argument with their voracity. Frank Bainimarama has seen off three Australian Prime Ministers – soon to be four. He has built a picture of stability in the Pacific. Australia cannot move away from it’s Patronising, Paternal and Racist attitude towards the Pacific. This is entrenched in the Australian bureaucracy. It is not the view of Australians who engage with Fiji in record numbers and come away mistified by their Governments position. Fortunately attitudes toward Fiji appear to be thawing – largely led by the USA. Fiji is also respected within the UN. Peter Thompson is doing a superb job trapping Australia and New Zealand in a pincer movement – and they are yet to wake up to his effectivness. With people like Mark Johnson working positively for Fiji, Fiji’s wonderful people who are dispersed internationally, and natural attributes – Fiji has a lot to look foward to. The reforms and changes they endure now will put Fiji in a brilliant position to exploit the oportunities for ALL Fijians into the future. I see the Australian Governments latest resonse to this poll (4/09/2011) Is to try and “Shoot the nessenger” because they do not agree with the findings!.